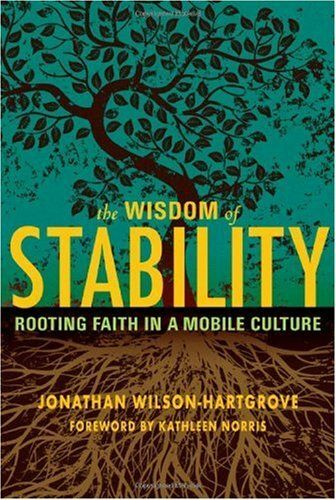 In The Wisdom of Stability, Jonathon Wilson-Hartgrove makes a case for being rooted in the same place with the same people as a means to grow spiritually and faithfully serve God. This was a challenging read. It isn’t challenging because of the writing style- the book is written in an clear and interesting manner. It is the content that makes it a challenging book. The idea of stability is so foreign to our globalized world and mobile lifestyles but the author makes a strong case for it. He compellingly argues from his own experiences and those of Christians throughout history that learning to stay in the same place and deal with the challenges that brings can be beneficial to our souls and communities. It would have been good to see a little more dealing with how this idea fits with Jesus commands to take the gospel to the ends of the world (Acts 1:8). Regardless, there is more than enough in the book to ponder. Given that already this year I have moved house, changed churches, travelled overseas and filled out job applications for a job in another state it certainly gave me a lot to think about! I’m still working on what the application looks like for me personally so I think it is a book I will be coming back to. I recommend this book. It is worth reading and pondering.